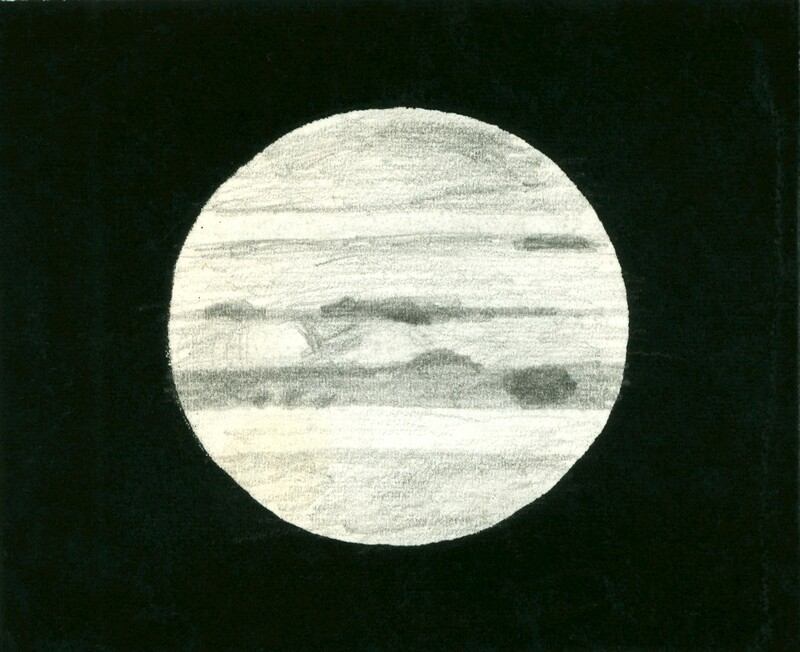 Jupiter on 1959 May 24/25 at 23:15 EDT (03:15 UT) as sketched by Geoffrey Gaherty, Jr. C.M. (1) 11º, C.M. (2) 111º. 8" Cave reflector at 240x. Seeing 6. Transparency 4. North is down, east to the right.